Once the Berlin Wall came crashing down in 1989, many surrounding nations – including Bulgaria – began to escape the grip of communism. But the ability for Bulgarian people to start businesses of their own in the capital city of Sofia was hampered by the high rents of urban storefronts. 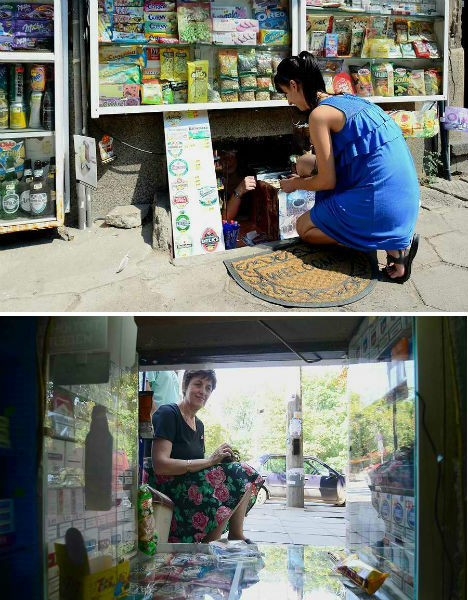 That’s when these enterprising people began opening ‘klek’ shops – small pop-up stores organized around basement windows. 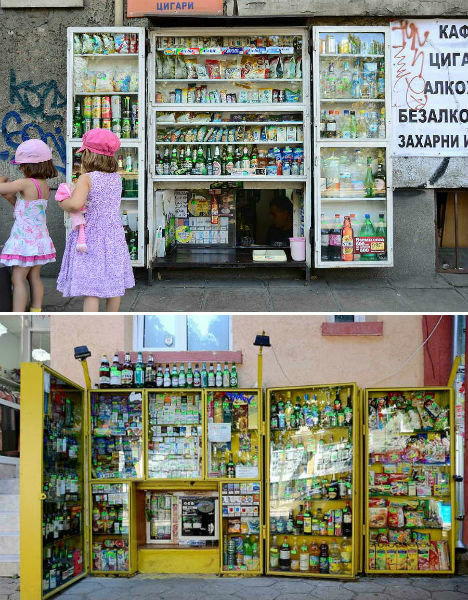 Artist Ivaylo Getov has documented many of these fascinating little storefronts in a series on DeviantArt. The photos depict a variety of cases displaying examples of the wares found inside, or simply posters printed with their images. Customers crouch to view the selection of drinks, snacks, cigarettes and other small items. 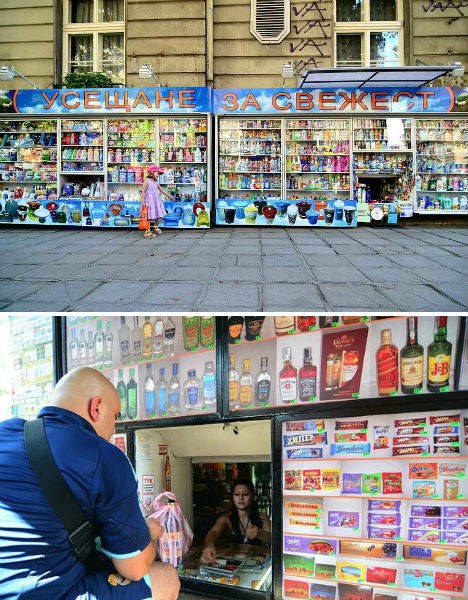 Twenty-three years after klek shops were borne of necessity, they’re beginning to disappear, remaining in small numbers mostly for the benefit of tourists. While visitors from other countries, including America, are likely accustomed to vendor carts and other sidewalk shops in their hometowns, the sight of these makeshift shops – which fold closed and lock like shutters when business hours are over – is still unusual and intriguing. See the whole series at DeviantArt.